This eco-conscious brand's message is simple: protect the planet and go organic. Around here, we love brands who put their money where their mouth is, and who put their "green," so to speak, toward green organizations that seek to reduce the negative impact humankind has had on the planet. 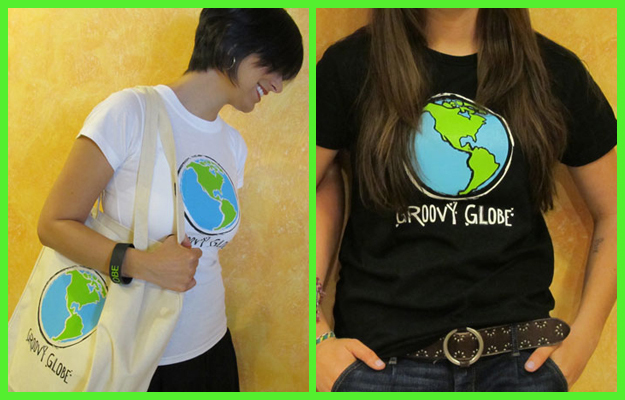 True to its name, Groovy Globe is one such brand. 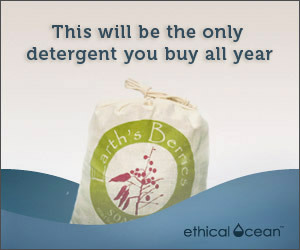 Selling 100% organic cotton t-shirts ($28) and 100% recycled cotton tote bags ($24), Groovy Globe donates 10% of each sale to endeavors like Trees for the Future (which empowers rural groups to restore tree cover to their lands) and Global Green USA (the American affiliate of Green Cross International). Inspired by the simple, straightforward messaging of causes like (RED), public relations executive Candace Vadnais founded Groovy Globe earlier this year. Doing our part to help the environment while suggesting others do the same? That's a groove we fit right into. For nearly 20 years, Global Green USA has been a national leader in advocating for smart solutions to global warming including green building for affordable housing, schools, cities and communities that save money, improve health and create green jobs.